James (Jim) Robert Short was born on 7 December 1936 at Shepparton, Victoria, the youngest of three children of George Short, a surveyor with the State Rivers and Water Supply Commission, and his wife, Elsie, née Hearn. At the outbreak of World War II the family moved to Wangaratta when George Short was seconded to head the local branch of the wartime Manpower Directorate. In 1946 George was appointed to open the first Commonwealth Employment Service office in Bendigo, and the Short family moved to that city. An important part of George's role was to meet the many displaced persons migrating from Europe, arrange for their employment, and assist migrants in settling into a new life in Australia. Jim often accompanied his father to meet the new arrivals and this started a lifelong interest in, and involvement with, immigrant communities throughout Australia. After receiving his early education at Wangaratta Primary School and Gravel Hill State School, Bendigo, Jim Short attended Bendigo High School where he became head prefect and captained cricket and tennis teams. Soon after leaving high school, he was offered a cadetship with the Commonwealth Public Service Board. This involved part-time study at the University of Melbourne while undergoing on-the-job training in personnel management with the Postmaster-General's Department. During this period he also joined the CMF, Melbourne University regiment, reaching the rank of sergeant. Graduating in 1961 with combined commerce and arts degrees, Short joined the Tariff Board. He married Jan Rothwell on 4 November 1961; they had a son and a daughter. Early in 1962 the Shorts moved to Canberra when the Tariff Board was relocated there from Melbourne. In June 1963 Short was promoted to the Commonwealth Treasury and the next year he was appointed private secretary to the Treasurer, Harold Holt, staying on for several months with the incoming Treasurer, William McMahon, when Holt became Prime Minister in January 1966. The years with Holt quickened Short's interest in politics. In 1967 Short was appointed a Treasury representative in London. He returned to Canberra after three years, and became assistant secretary of the overseas economic relations division of the Treasury. Three years later, after a secondment as deputy general manager with the Australian Industry Development Corporation, he was appointed assistant secretary of the foreign investment division of the Treasury. Short won Liberal Party preselection for the House of Representatives seat of Ballaarat on 2 November 1975 by a narrow margin, after promising that, if selected, he would move as soon as possible from Canberra to Ballarat. Just nine days later, Prime Minister Whitlam was dismissed by the Governor-General, Sir John Kerr, and Short found himself facing an electoral contest two years earlier than expected. In the double dissolution election of 13 December Short was easily elected as the Member for Ballaarat (Ballarat from 1977); he was re-elected in 1977. In his first speech in the House of Representatives on 26 February 1976, Short defended his old colleagues in the Treasury ('dedicated, highly qualified professionals whose objective advice no government can afford to ignore') against recent 'vilification' in the chamber. Referring to the 'capriciousness and incompetence' of the Whitlam Government, he said that the new government needed to reduce inflation, government expenditure, and ultimately the budget deficit. In subsequent contributions to debates in the House, Short spoke with authority about a range of economic matters, particularly foreign investment, tariff policy and trade issues, international monetary agreements, overseas borrowings, and the pernicious effects of trade unions on local industry. The Fraser Government was returned at the 1980 election, but Short lost Ballarat by fewer than 900 votes after Australian Democrat preferences ran against him. He joined ACI International Ltd, then one of Australia's major manufacturing companies, as a corporate affairs general manager. Short's involvement with the Liberal Party intensified from 1982, when he was elected country vice-president of the Victorian branch. In the same year he came second to Peter Reith in a preselection contest for the federal seat of Flinders, following the resignation of the sitting member, Sir Phillip Lynch. Short was preselected in third place on the Coalition's Victorian Senate team for the elections of December 1984, at which, under the Representation Act 1983, the number of senators from each state was increased to twelve, and seven senators were chosen for each state. He was the sixth senator elected after an exhaustive count, and he was re-elected in 1987 and in 1993, when he headed the ticket. Jim Short took his place on the Opposition Senate benches on 21 February 1985, and made his first speech in the Senate on 20 March. He outlined his political principles: 'those of a Liberal who believes passionately that it is people, through the economic freedom of the competitive market, who have built our nation, not governments'. He blamed Australia's poor economic performance on a 'too large and too intrusive' government, financed by taxes and borrowings, the tax burden on individuals having 'increased staggeringly over recent years'. Tax reform resulting in a reduction in 'the share of government spending in gross domestic product' was imperative, the aim being to encourage 'creation of income and wealth in an entrepreneurial environment'. Short believed unions had too much power, and that the conciliation and arbitration system of industrial relations was irrational and outdated. In September 1985 he moved an urgency motion in the Senate prompting a debate on an industrial dispute at the Dollar Sweets company in Melbourne, where the Federated Confectioners' Association of Australia (FCAA) waged, he said, a 'vicious' campaign against the company, including a damaging picket. In what became a landmark case in industrial relations, Dollar Sweets obtained an order from the Supreme Court of Victoria to end the picket, showing that, where arbitration commissions had failed, courts could and would rule on industrial disputes under common law; the union later paid compensation to the company. Three years later Short moved a similar motion in relation to the labour hire agency, Troubleshooters Available; that company was also eventually successful in court action against the unions. Short considered his raising of these matters in the Parliament as a 'key catalyst' in the outcome of the disputes, and among the most significant actions of his Senate career. By 1986 Short had served on several important Opposition committees, including policy review, treasury and finance, and waste watch, and he chaired the committee on industry, commerce, technology and science in 1985. Short held the shadow portfolios for finance (April 1987–August 1987) and home affairs (August 1987–September 1988). Dropped from John Howard's shadow ministry in September 1988, Short resumed the shadow finance portfolio after John Hewson, who shared his so-called 'dry' economic opinions, became Liberal Party Leader in April 1990. As one of the Liberal Party's leading exponents of greater economic freedom for the individual, Short played a central role in the development of the Coalition's radical and wide-ranging economic program entitled Fightback!, launched in November 1991, and which included proposals for a goods and services tax to replace various indirect taxes, personal tax cuts and significant reductions in government expenditure. Short was tasked with devising substantial cuts to welfare spending. He later declared Fightback! to be 'the most comprehensive program for reform that has ever been presented to the Australian people'. In June 1992, following the resignation of Senator Durack, Short was appointed Deputy Leader of the Opposition in the Senate. 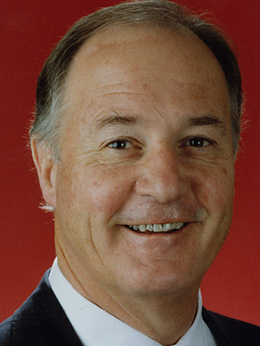 He lost this position following the federal election of March 1993, at which the Keating Labor Government was returned, but he retained his place in Hewson's shadow cabinet. He was assigned to the shadow portfolios of multicultural Australia, immigration and citizenship (renamed immigration and ethnic affairs in May 1994), and kept those responsibilities through two subsequent changes in the party leadership. Looking back on his Senate career, Short said that he 'derived the greatest personal satisfaction' from his three years in the shadow immigration portfolio. The appointment was recognition of his long-held interest in immigration policy, and sympathy for ethnic groups. Short was particularly close to the Vietnamese and Baltic communities and he supported publicly the right to independence of Latvia, Lithuania and Estonia. Short was ahead of his party in his awareness of the political potential within cultural diversity. In 1986, he opened a new electoral office in the inner Melbourne suburb of Brunswick, staunch Labor territory, and observed that it was 'timely' for the Liberals to move into such areas, which now included diverse immigrant groups: 'There are votes to be won here, particularly in the Senate'. During Short's time as shadow immigration minister, he contributed fully to debates on migration legislation, introduced by the Keating Government in response to increasing numbers of asylum seekers, at that time mainly boat people from refugee camps in South-East Asia. Short sought to maintain a bipartisan policy, but raised concerns about disorganisation within the Immigration Department, the ability of the court system to deal with refugee claims, and the imposition of 'a more and more legalistic framework' on immigration policy. Between 1993 and 1996 Short played an important and constructive role as deputy chair of the Joint Standing Committee on Migration. In 1997 Senator O'Chee told the Senate of Short's work, 'quietly achieved' in 1993, to ensure 'bipartisan acceptance' of Chinese dissidents wishing to remain in Australia after the 1989 Tianamen Square massacre. With the election of John Howard's Coalition Government in March 1996, Short was appointed Assistant Treasurer, with particular responsibility for the tax office, foreign investment, insurance, superannuation, and banking laws. His term as Assistant Treasurer was brief and troubled; as the minister representing the Treasurer and Finance Minister in the Senate he had difficulty in answering questions clearly and had to apologise in June 1996 for inadvertently misleading the Senate. In April 1996 Prime Minister Howard's office published A Guide on Key Elements of Ministerial Responsibility, which stated that 'Ministers are required to divest themselves of all shares and similar interests in any company or business involved in the area of their portfolio responsibilities'. Two years earlier, as a result of a Senate resolution requiring that senators register their interests, Short had declared shares in a number of public companies, including the ANZ Bank; at that time he had held the ANZ shares for about ten years, and he made no move to sell them. As the minister responsible for banking legislation, Short's ANZ shareholdings were clearly in breach of the ministerial code of conduct, and placed him in a potential conflict of interest. When Labor's Senator Sherry raised these matters on 9 October 1996, Short acted quickly to dispose of the shares, worth about fifty thousand dollars, but he insisted that 'there is no conflict of interest involved in this issue'. The Prime Minister conceded that Short had been 'careless' but did not sack him from the ministry as 'He did not take a decision that was influenced by the ownership of those ANZ shares'. On 12 October Short's staff, in reviewing the 'dozens of banking approvals' signed by Short in the course of his ministerial duties, brought his attention to the fact that he had previously approved a banking licence for an ANZ subsidiary, Grindlays Bank. Conceding that this changed the perception of the issue, Short submitted his resignation as Assistant Treasurer. Senator Brian Gibson, Parliamentary Secretary to the Treasurer, who had also retained shares after his appointment, also resigned his post. Writing in 2010 Howard recalled that his government 'took an awful bath in the media' over the resignations of Short and Gibson; press commentary focused on Howard's failure to enforce the fundamental principles of ministerial responsibility. Few would have disputed Short's insistence that his shareholdings had no influence on his conduct as a minister. His integrity was not in doubt, but his understanding of the ministerial code, and of the concept of conflict of interest, was questionable. Returning to the backbench, Short—actively involved in parliamentary committees throughout his career—chaired Senate legislation committees on finance and public administration, and environment, recreation, communications and the arts. After more than eleven years in Opposition in the Senate and less than one year in government, Short resigned from the Senate on May 12, 1997 to take up a three-year appointment as the Australian member of the Executive Board at the European Bank for Reconstruction and Development in London. Twenty-three senators made valedictory speeches about Short in the Senate, reflecting the high personal regard in which he was held. As well as acknowledging his contributions to his party's economic and migration policies, senators praised his decency, integrity and capacity for friendship. There was also acknowledgment of his 'legendary' capacity for hard work, Senator Kemp noting that Short had made 1 448 parliamentary speeches and asked 639 questions of Labor ministers. In December 2000 Short was appointed by the Minister for Foreign Affairs, Alexander Downer, as Australia's Special Envoy for Cyprus. This role was to last for seven years, during which Short also undertook a range of other activities, including as principal consultant for the economic consultancy firm ACIL Tasman from 2000, and chairing the firm (2002–03); five years as the executive director of the Australia-China Business Council in Victoria (and president in 2004); chairman of the technology company Iatia Ltd; a member of the development committee of the National Stroke Foundation; and as a member of faculty boards and advisory committees of several universities. From 2009 Short was a member of the council of the Victorian branch of the Australian Institute of International Affairs. This entry draws throughout on the author's interview with Jim Short in Melbourne on 10 July 2008; Old Gold Bendigo Inc, June 2009; 'Profile: Jim Short', House Magazine, 30 April 1986, p. 3; The Courier (Ballarat), 3 Nov. 1975, p. 1. CPD (R), 26 Feb. 1976, pp. 389–92, 27 April 1976, pp. 1593–5, 25 May 1976, pp. 2431–3, 26 May 1976, pp. 2492–3, 3 June 1976, pp. 2950–4, 24 Aug. 1976, pp. 467–9, 9 Dec. 1976, pp. 3603–5, 8 May 1978, pp. 1991–2, 31 May 1978, pp. 2840–2, 21 Feb. 1979, pp. 178–80, 8 May 1979, pp. 1925–7, 29 Aug. 1979, pp. 716–8; SMH, 1 Nov. 1982, p. 3. CPD, 20 March 1985, pp. 474–8, 22 Aug. 1985, pp. 176, 241, 10 Sept. 1985, pp. 322–3, 332, 11 Sept. 1985, pp. 463–5, 476–8; SMH, 26 July 2006, p. 4; CPD, 28 Sept. 1988, pp. 949–52, 19 Oct. 1988, pp. 1582, 1604–5, 30 Aug. 1989, p. 553, 7 May 1997, p. 2960. SMH, 17 Sept. 1988, p. 1; CPD, 7 May 1997, pp. 2959–62; John G. Head (ed.) Fightback! An Economic Assessment, Australian Tax Research Foundation, Sydney, 1992; CPD, 20 April 1988, pp. 1784–7, 10 Nov. 1988, pp. 2383–6, 7 March 1991, pp. 1480–1, 17 June 1991, p. 4658, 15 Aug. 1991, pp. 513–5, 28 Aug. 1995, pp. 499–500, 7 May 1997, pp. 2959–62; Age (Melb. ), 15 May 1986, p.7; CPD, 22 Nov. 1989, pp. 3019–20, 10 Feb. 1994, pp. 759–63, 2 March 1994, pp. 1223–4, 1228–9, 23 March 1994, pp. 2115–7, 29 June 1994, pp. 2355–6, 18 Oct. 1994, pp. 1903–7, 1926–7, 8 Feb. 1995, pp. 698–701; 30 Aug. 1995, pp. 635–8; SMH, 12 Oct. 1996, p. 17; AFR (Syd. ), 20 June 1996, p. 7; CPD, 19 June 1996, pp. 1824–6. Prime Minister John Howard, A Guide on Key Elements of Ministerial Responsibility, Canberra, April 1996; CPD (R), 10 Oct. 1996, pp. 5220–7; Age (Melb. ), 11 Oct. 1996, pp. A1, 2, 12 Oct. 1996, p. A26; Herald Sun (Melb. ), 14 Oct. 1996, p. 4; AFR (Syd. ), 14 Oct. 1996, pp. 17–18; Australian (Syd. ), 14 Oct. 1996, pp. 1–2; John Howard, Lazarus Rising, Harper Collins, Syd., 2001, p. 267; SMH, 12 Oct. 1996, p. 39. CPD, 7 May 1997, pp. 2959–62. This biography was first published in The Biographical Dictionary of the Australian Senate, Vol. 4, 1983-2002, Department of the Senate, Canberra, 2017, pp. 453-457.